This Friday, author and photographer Robyn Lea will be here to discuss her cookbook Dinner with Jackson Pollock during our March Late Night. And, in what has become a tradition for the Adult Programming team, we decided to try our hand at making a few of the recipes. You can find our other cooking attempts here and here. 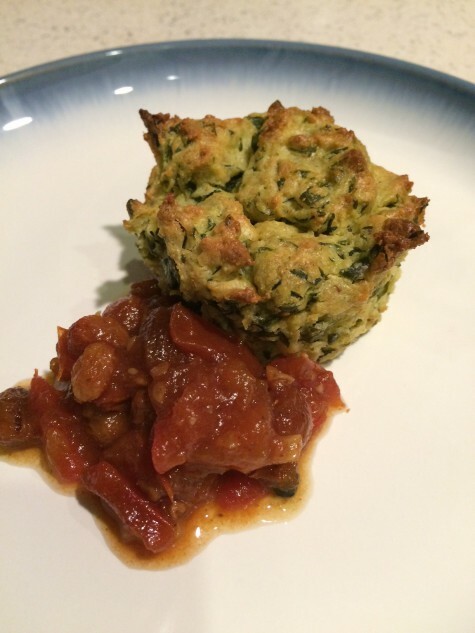 I decided to make Pollock’s Spinach Muffins with Tomato Chutney because it sounded delicious and I had never made a chutney before. The recipe was pretty straightforward and easy to make. Because the chutney takes an hour to simmer on the stove, I started that first by putting all the ingredients in a pot on medium-low heat. While that was simmering, I prepared the spinach muffin dough. The “muffin” dough was very wet and very dense, and after baking it, I would classify the final product as a stuffing more than a muffin. Once the chutney was finished simmering, I sampled it, and while I loved the flavor I did not like the texture (as I am not a fan of raisins, which was a main ingredient). So I took half of it and used an immersion blender to smooth it out. I loved the smoother chutney and used it in other dishes I made for dinner that week. 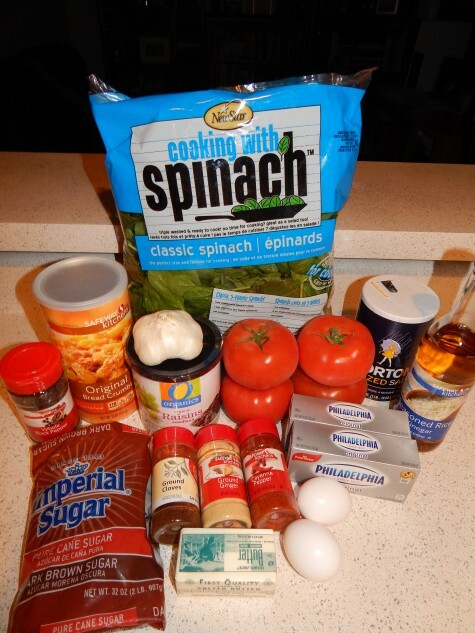 On its own, I felt the spinach muffin was very salty; the recipe called for one teaspoon of salt, and if I made this again I would go down to half a teaspoon of salt. 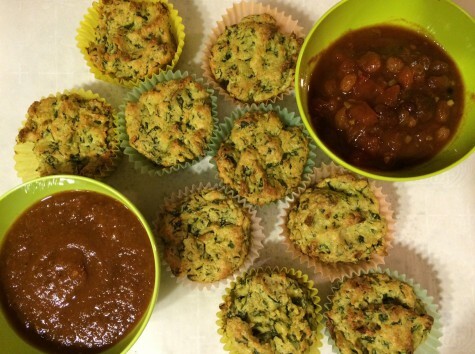 Though pairing the spinach muffin with the sweet and savory chutney did help balance the saltiness in the muffin. Things I learned: Your home will smell amazing after simmering chutney for an hour on your stove. Even a good chutney can’t make me like raisins. In Lea’s recipe for Long Island Clam Pie, she references an interview that Pollock gave for a 1950 New Yorker story in which he recalled his and Krasner’s first year in Springs, living off of the sale of one painting and some clams that he dug out of the bay with his toes. True or not, it’s a pretty romantic story. Plus, I wanted to try my hand at cooking clams. 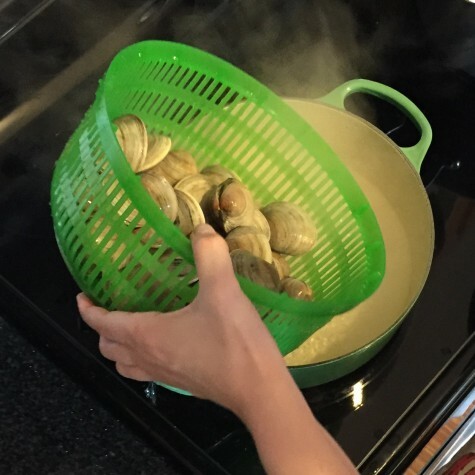 After scrubbing the recommended thirty-six clams and letting them rest in a brine to release their sand and grit, I steamed them for a few minutes in a Dutch oven with two cups of water. Word to the wise: do not let clams boil over. Terrible things happen. I sautéed the chopped clam meat with a little onion and more than a little butter. 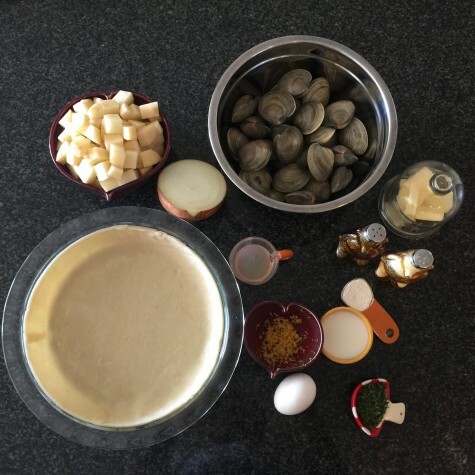 Then I added peeled and chopped potatoes, flour, milk, lemon juice and zest, herbs, and some of the leftover clam juice for an extra punch. I poured the mixture into a *cough* store-bought pie dough, added a top crust, finished with an egg wash, and baked for forty minutes. The creamy roux and potatoes made for a hearty pie, but the lemon and the parsley gave it a really light, refreshing flavor. 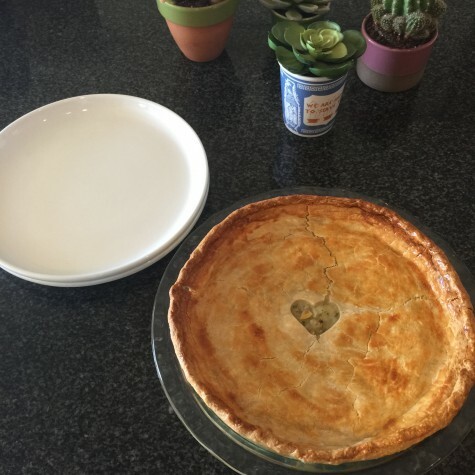 Things I learned: Next time I will increase the clams, decrease the lemon zest, and step up my pie decorating game. I love to cook! But working for both DMA Arts & Letters Live and Adult Programming at the DMA means that I’m regularly not home in the evenings. So I chose a recipe that would be a full day’s affair for a Sunday dinner with my brother and his girlfriend! 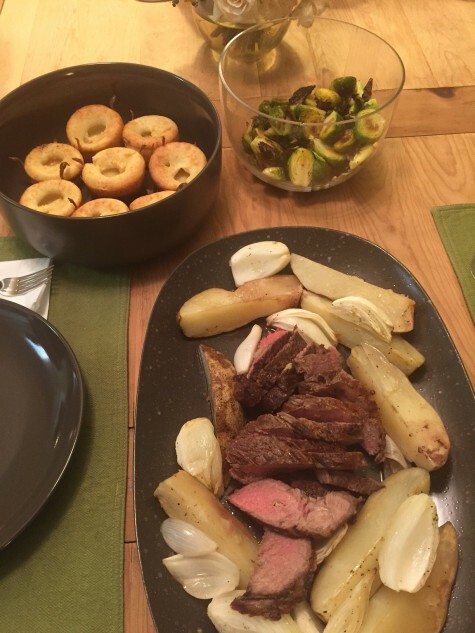 I have never roasted beef or made Yorkshire Pudding or gravy before, so I was pretty concerned and excited to see how things would turn out. 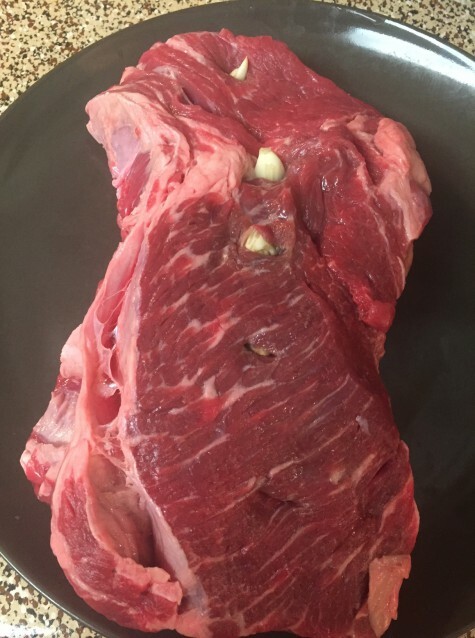 Any recipe that starts with a giant steak stuffed with six cloves of garlic is already a winner in my book! The recipe also called for twelve small onions, but that seemed like an insane amount of onions. Maybe Lee Krasner meant twelve pearl onions?! But I come from a family of onion lovers and that didn’t seem like enough. I decided to quarter four small regular onions instead. 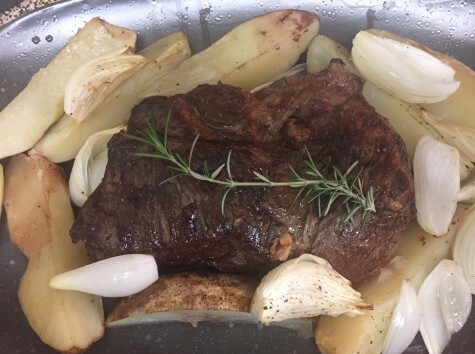 Once the meat was browned on the outside, I transferred it to my pan filled with potatoes and onions. This was no easy task and required a pair of tongs, a wooden spoon, and help from the multi-armed goddess Shiva Nataraja. I tossed in some fresh rosemary from my balcony garden as well. After cooking for thirty-five minutes for medium-rare, the steak looked perfect: crispy on the outside, very pink on the inside. And my apartment smelled like rosemary and garlic. But I could already tell the potatoes and onions could use another ten minutes. This section of the cookbook also had a recipe for Yorkshire pudding, which was fantastic! I used bacon grease instead of goose lard (because who has that in their kitchen?! ), and they were smoky and delicious! I also made the gravy recipe (not pictured), but having never made gravy before, it wasn’t pretty. Tasted good, but quite lumpy. 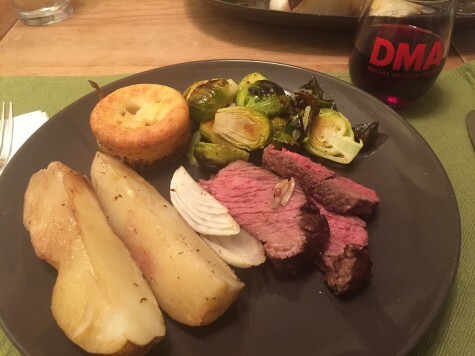 The recipe also suggested this meal be served with roasted Brussels sprouts, which are one of my favorite vegetables. I followed my mother’s recipe, which is essentially 1 part Brussels sprouts, 1 part garlic, 1 part olive oil, roasted at 425 for 20 minutes. DELICIOUS! Things I learned: Gravy is hard. Transferring a giant steak from a frying pan to a baking dish is also hard. Making your apartment smell amazing for the rest of the evening and feeding your family with a delicious and historical meal? Worth it. Did we whet your appetite? 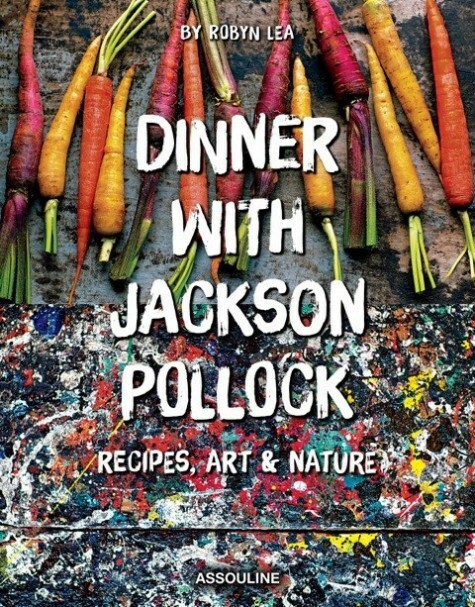 Then please join us on Friday, March 18, at 9:00 p.m. to hear Robyn Lea discuss her cookbook Dinner with Jackson Pollock.